This one is definitely not a travel post, but I would request my readers to spare a few minutes and read it. I never really knew there was a writer in me desperate to share knowledge and information not just among friends, but also across the globe. Although, I’ve been writing offline since my school days, I took up blogging a little late, but I’m glad that I did. While blogging helped me convey my feelings, emotions, opinions, memories, knowledge and experience, it also helped me receive the same from others and in all that exchange of ideas and words, I started meeting new people that gradually transformed into my friends. It is through blogging that I made friends across the globe, ready to help, encourage, inspire, understand and with whom I can be myself. Often, objects lead us to memories. The objects we hold most dear, harbor the most cherished memories. For the CHERISHED Blogfest, we invite you to talk to us about one of your cherished objects. Tell us what it is, post a picture of it if you like, and tell us why you cherish it. Join us on the 24th, 25th and 26th of July 2015 in sharing memories, emotions, information: we’ll read and comment on each others’ posts, get to know each other better, and hopefully, make or renew some friendships. Even if you’re new to the world of blog, you can add your blog to the Linky list provided below and post on the given topic on July 24th, 25th and 26th and share about objects that is dear to you and that you cherish and exchange some love and comments in return. Visit and leave comments to everyone on the list, so we all get loads of comments and love! Place the CHERISHED Badge on your sidebar and spread the word on social media through tweets, Facebook Likes and G+ shares for the entire month. The more, the merrier and that means that if more people sign up, the more followers we all get at the end of the blogfest. 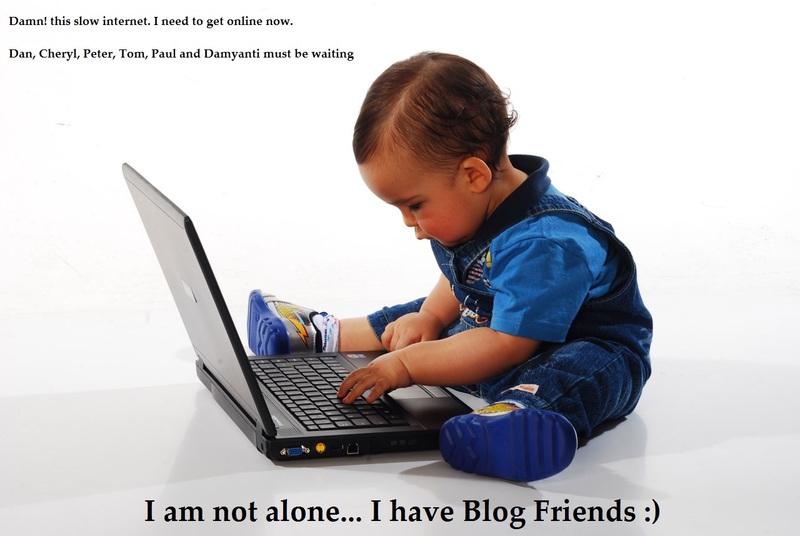 Damyanti Ghosh – An established freelance writer who writes imaginative and meaningful blogs in short and long format. She writes about Malaysia and Singapore and about writing. She is not really interested in Blog Awards and over-the-top praising as well, but she’s is a terrific writer and have certainly helped me grow in many ways. Dan Antion – A multi-talented blogger who writes about almost anything. He has his own unique style of incorporating humor which I love, he clicks some really good pictures that adds to his writing skills. A true inspiration for me. Paul Ruddock – Although, he calls himself an amateur writer, he is simply the best book review writer. He writes book reviews, articles, flash fiction, short stories and amazing humor-based posts that can make you laugh hard. He also loves outdoor activities like walking, cycling, mountain biking and scrambling. Peter Nena – He is the King of Horror, Sci-Fi, Adventure and Mystery and his posts and short stories can give you goosebumps and nightmares even while you’re in a crowded train. His stories transport you right in the heart of Africa. 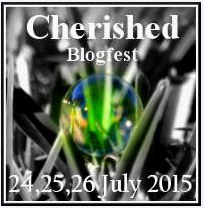 Thanks to Dan Antion and Cheryl KP for their efforts and time in designing the Cherished Blogfest badge. Hi! My name is Sharukh Bamboat. A freelance content writer by profession, I love to travel across India whenever I get the opportunity and share the wonders, stories, and my experiences of traveling across India. In my blog, I write about destinations in India, food, shopping, Indian culture and traditions, festivals and everything that makes India so diverse and unique in the world. Subscribe to Travel India Destinations and join me on this wonderful and incredible quest to discover India in its true form. Hi Sharukh! I am going to try to share each of your posts across my networking even though I am not officially able to host. BTW, you need a LinkedIn share button too! Great post. Awesome. I’ll try it out! Thanks. Hi ! Here is my post for the cherished blogfest !